This sponsored feature was written in collaboration with our friends at Naturepedic. 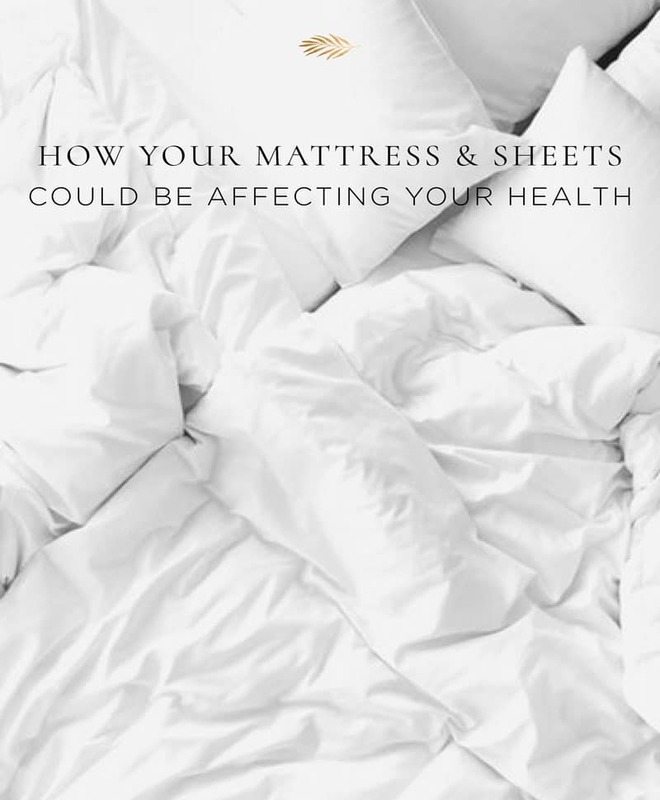 Most people don’t realize how their mattress and sheets could be affecting their health. I cannot stress enough about how important it is to create a non-toxic, healthy bedroom to allow your body to naturally detox (detoxification with your liver and other detox organs, restoring your energy, increasing your cognitive abilities, boosting your immune system and so much more). It’s taken me years to detox my bedroom so take your time. Remember, health and wellness is a journey, not a race. Think of this bedroom detox as a shift in your lifestyle to support your health and the health of your family. Let’s talk about what’s lurking in your mattress and sheets (all of which we can’t see with our human eyes, but which negatively affect our health and lead to unwanted symptoms). The day you find out what you’ve been sleeping on your entire life is the day you start to realize that you have to be an advocate for your own health and lifestyle. No one else is going to give you the accurate information you need to know when it comes to your mattress, your sheets and many other aspects of your lifestyle. It’s sad but it’s true. I learned this in my early 20’s and I was in shock. Wasn’t anyone protecting us? How could anyone allow companies to use so many harmful chemicals and toxins? How did this happen? How do most people not realize this? Aren’t companies that produce these products supposed to be protecting us? Sadly, I learned about all of this through my own research and my dear friends who are mothers to children with chronic health issues. They knew that the toxins and chemicals in our food, our tap water, our mattress, our personal care products and so much more were, in fact, affecting our health. That’s when I discovered Naturepedic and fell in love with their products because they were the only company I knew I could trust and rely on. I spoke with their team on the phone over a dozen times (and asked them dozens of questions—because that’s how I roll before I purchase anything), I visited their showrooms, I researched them for years and then finally went ahead and enjoyed their fluffy pillows, organic mattress, organic sheet sets and organic waterproof mattress protective pad. And I’ll be honest with you. I will never ever ever go back to anything conventional in my bedroom ever again. It’s been life-changing not only for my quality of sleep but also for my quality of life. Here is a list of chemicals that Naturepedic does not use in their products. Many of these chemicals are found in conventional mattresses and are known to accumulate in the body for many years and are linked to thyroid dysfunction, liver toxicity, and other health issues. Formaldehyde is often used in mattress adhesives and has been linked to asthma, allergies and different types of cancers. Polyurethane foam, which is a petroleum-based material that releases VOCs linked to numerous health issues. Boric Acid is used as a pesticide and it’s a developmental toxin and reproductive toxin, which is terrible for children in their developmental and reproductive phase and for adults with our hormones, as well. Deabromodiphenyl Oxide is a possible carcinogen and is linked to causing memory loss and hair loss! Flame Retardants (found in mattresses and bedding) are SVOC’s, which are semi-volatile organic compounds. They’re odorless so you wouldn’t be able to see or smell them. They leak from the mattress throughout the entire life of the bed and they contaminate dust in your bedroom. Interestingly enough, your body must detox these chemicals during the night when your immune system is supposed to be in its repairing and resting state. Naturepedic does not use flame retardants; read more about this information here. Antimony is a heavy metal that’s also a possible carcinogen and causes lung and heart issues. Reading this makes you realize how much is going on behind the scenes that we’re unconscious to…all the microscopic chemicals and toxins that we cannot see that are affecting all of us on a cellular level. It’s scary and also sad that we’re not educated about any of this. My hope is that this information helps you realize what you may not have been previously aware of. If I can help you detoxify your bedroom and lessen your body burden from toxins, you don’t need to wait until a health issue manifests to start doing these things, I’m a very happy camper. Lastly, let me talk to you for a minute about their mattress and sheets because I receive so many questions from my readers asking about my favorite sheets and mattress brand that I trust and what I love about them. Naturepedic Organic Mattresses The difference was dramatic. I sleep like a baby and I feel so comfy when I sleep. The bonus is that there aren’t any toxins hanging out in my mattress while I doze off. A total win-win situation! And my healing recovery has been super smooth since this process I believe because I lessened the body burden of toxins that my body comes into contact with on a daily basis. So, your liver can work more efficiently and detox your body naturally. 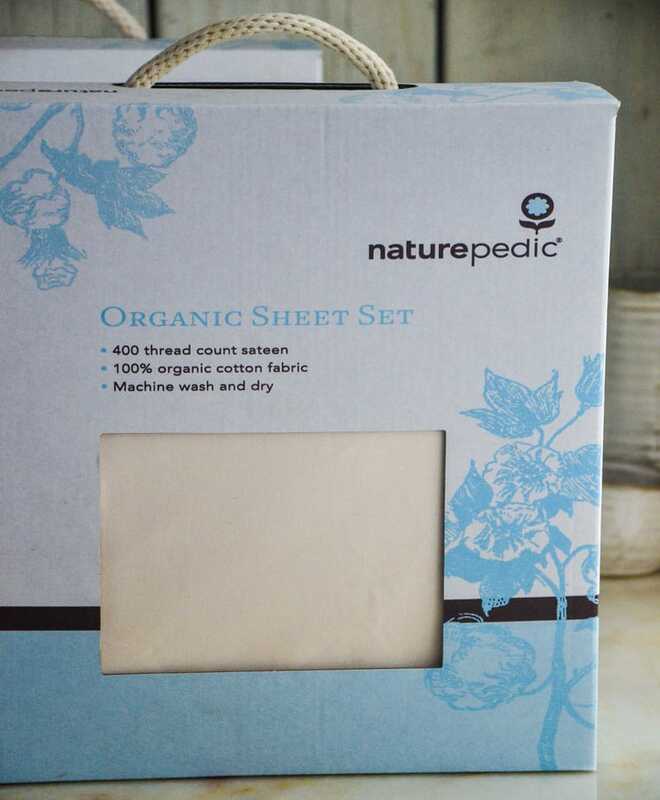 Naturepedic Organic Sheet Sets I am so in love with these sheets. They’re soft and I feel like I’m sleeping on satin sheets when I’m in bed with them. I love them so much that I just got my parents a set to use on their bed and I cannot wait to hear their reaction. They’ve been using conventional sheets their whole life so this is going to be life-changing for them. These sheets are ideal for gifts for bridal showers and are wonderful gifts for the holidays, as well. I mean, who wouldn’t want to sleep on these organic comfy sheets? Once you make the switch to organic sheets that are high-quality like these, you’ll never go back. I’m sick all the time. Just had my gallbladder out last week. I’m worse. I want a clean life. It’s my only hope. Thank you for all the information you provide. Thanks for sharing! Do they make for kids/cribs? Yes, Naturepedic has a Baby Collection and a Kids Collection listed on their website. Check out http://www.naturepedic.com for more details. Have a lovely day! I just moved back to NYC and would love to keep my new apartment as detoxed as possible. I would love to win these sheets! As always, thank you for the very verluable information! I could certainly use a bedroom detox! oh my goodness! my skin has been bad lately and I know my liver is over loaded. I eat clean, products are clean that go on my body, etc. But sheets! This was so helpful. Thanks! Thank you for this article. I really appreciate your thoughtfulness and tips for all of us as we begin or continue our journey to health and wellness. I look forward to making steps toward detoxing and eventually will purchase a new mattress so I may have a safer sleep. I would love to try these beautiful sheets. Who knew that sheets could contain so many toxins? I live in an area that’s been affected by recent wildfires, so there are a lot of toxins in the air. If I could add toxin free sheets to my bedroom, it’s one place I could breathe easier. Thank you for sharing this helpful information. Good read , there are so many hidden toxins that we do not know about. The sheets would be a good part of my life changes to better health. I purchased an organic mattress and bedding for my grandson but never thought about “splurging” for myself. It’s on my to-do list now. Thanks for the reminder of all of the chemicals being released. I wake up with aches and pains. I am sure it is my mattress and probably the sheets do not help. I would love to win the sheets so I can start to feel better. Would love to win the sheets. I love reading about the Naturepedic product line. I have been dreaming about upgrading my mattress, pillows, and linens for quite awhile now. If I happen to win the sheet set, I will buy the pilliows! These look like just what we have been searching for! Naturepedic products are new to me and I would love to try them! It is amazing how poisonous our everyday environment is. Especially the bedroom where we spend so much time! Thank you for this article and I will be sure to check out Naturepedic for sheets, mattresses, etc. thank you for keeping us wise! This is truly something I’ve never really thought about, and I’ve detoxed all of my household products as well as making sure everything in my refrigerator and pantry is organic. I’m definitely going to check out Naturepedic. Would love to win these sheets to help me on my way to detoxing my bedroom. Sleep is such s space for recovery so it makes sense not to have the space give you more yuck you need to process out. A healthy bed makes sure all your energy goes toward deep recovery. Thank you for such a lovely giveaway. I never knew about all the toxins and would love a fresh, clean room! I would love to win these sheets! It seems no matter how hard you try to stay healthy there is always something around to make you sick. This article shows how important it is to clean up our personal environment. Is it any wonder we experience insomnia and out of balance hormones? Thank you for the wake up call. I know I need a new mattress as soon as I can save up but starting w new sheets could be a first step to sleeping bliss. Here’s hoping I’m picked & great article Amie! A good sleep is amazingly important! I’m always looking for new ways of making our bedroom a haven of calm and peace. Just reading about the sheets makes me so interested in trying them…!! This would literally be a dream come true!! I have your book and loved it so much I’ve already bought it for a friend and recommended to many. We are in the market for a new mattress so this article is very timely. Interesting info and we will definitely keep this in mind. Organic sheet sets for gifts is a great idea! How could the body possibly detox and replenish in a bed of chemicals? Just knowing you’re sleeping on good quality organic materials brings peace of mind before one enters the bed. Thanks for the contest! I would love soooooo much to win these sheets! I am in the process of detoxing my home, bit by bit! Not sure if we are just supposed to comment here to win or if we need to do something else. Hope I am commenting/entering correctly! Thanks Amie for all the great research and information you always provide for your readers. For Someone who has sleep issues this would be very beneficial and I see how it could be life changing. Thank you again for everything you do. I am currently struggling with extreme fatigue and food intolerances. Its amazing how our environment contributes to our health in such a profound way. I will be looking for ways to make better choices and detox my environment based on your article and book. Thank you for sharing your knowledge! Loved your article. I have believed this for years. I have peripheral neuropathy and have been trying to detox and heal my body naturally. I’ve tried everything. Unfortunately, some things are beyond my budget. I hope to someday be able to redo the bedroom area. I already have tried organic sheets but they really aren’t living up to what they said they would do. I would love to have these sheets to help with my recovery. I enjoy all your articles but nothing is more important than a good night’s sleep. It’s the only way to heal and refresh overnight. Thanks for all the great info you put out there for everyone in search of natural ways to heal instead of drugging up! I’ve been struggling with my sleep lately – waking up a lot in the middle of the night and waking in the morning feeling unrested. Surely there are other factors contributing, but I’m curious about how much the bed and sheets I’m sleeping on are adding to the issue. Would love to try these sheets out! Great article! My twin sister and I just found out we have CIRS and had to throw out clothes, bedding, mattresses, anything porous. We have to start all over so rebuilding our lives with non toxic alternatives. Would love to win these sheets. Thank you for all the great information you provide! Having suffered from psoriasis for 36 years (I am 38), for the past several years, I have realized the necessity of alternative therapies and lifestyle changes to manage my disease. 1) diet and now 2) bedroom detox. Your website and all of the resources shared are truly helpful. Thank you for being such a helpful resource for me along my journey. Too bad I wasn’t aware of these last summer when I got married!! Thanks again. This has been a big discussion lately in our house, particularly in regards to a mattress. It seems that all the healthier mattresses are from companies that aren’t carried at local shops so there’s no way to test beforehand. You just have to trust the company and the reviews. The expense is also fairly dramatic. In the end, though, I’d love to completely transition to a healthier mattress along with sheets that don’t emit all that scary stuff. Thanks for the info! I’ve been hoping to try organic cotton sheets. Having a toxin-free bedroom would be a dream! I try to be mindful of toxins for our household….I think I’ve neglected some of the basics after reading this article!!! Thank you for the info! I never realized that my sheets could be causing health problems! Would love to try these organic sheets! I LOVE their products too! I bought the organic pillows and they are super comfortable – it makes me feel so much better knowing my children are not putting their heads on or breathing flame retardants or other chemicals while they sleep! It’s only been recently in which I’ve put more emphasis on the importance of sleep for a myriad of reasons. But like food, everything you surround yourself with needs to be clean, organic and sustainable and this just re-affirms that. I think that a set like this would help optimize the quality of your precious REM. wow…..I have to be honest, I have never thought about all of the toxics lurking in my mattress. I have been looking to get new sheets, but it is SO hard to find cotton sateen sheets!!! I can not believe this is what they offer. I can not wait to have a set of these on my bed! Amie, thank you for the useful information. Many people are not aware of the toxins in mattresses and bed sheets. I’m planning to replace my mattress and bed sheets soon and think Naturepedic is a trustworthy brand. I’m going to check out their website now. 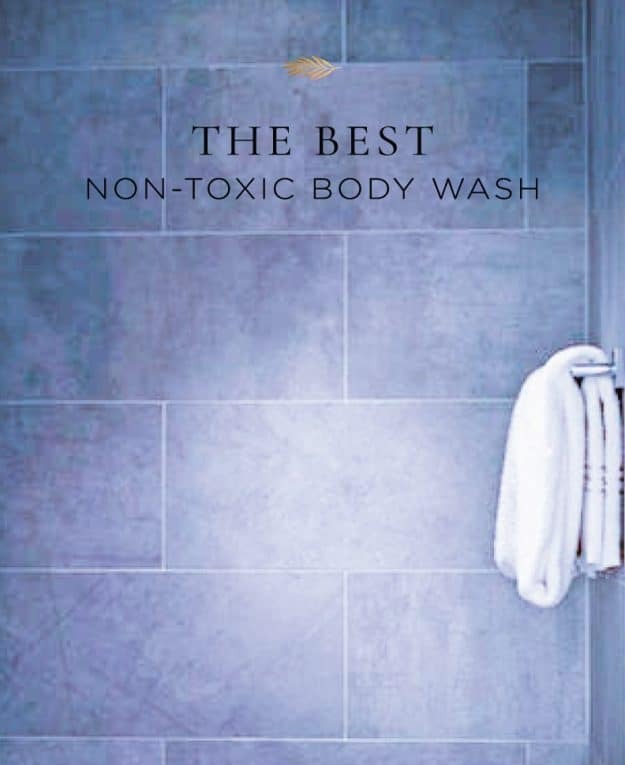 Great advice–look forward to checking out toxin free sheets! Is there a way to seal off the toxins in your existing mattress if you can’t get a new one in the near future? I had to get a “bed in a box” type mattress because a traditional one could never fit up my stairs! My eyes have been opened to the one thing that’s full of toxins in my home! 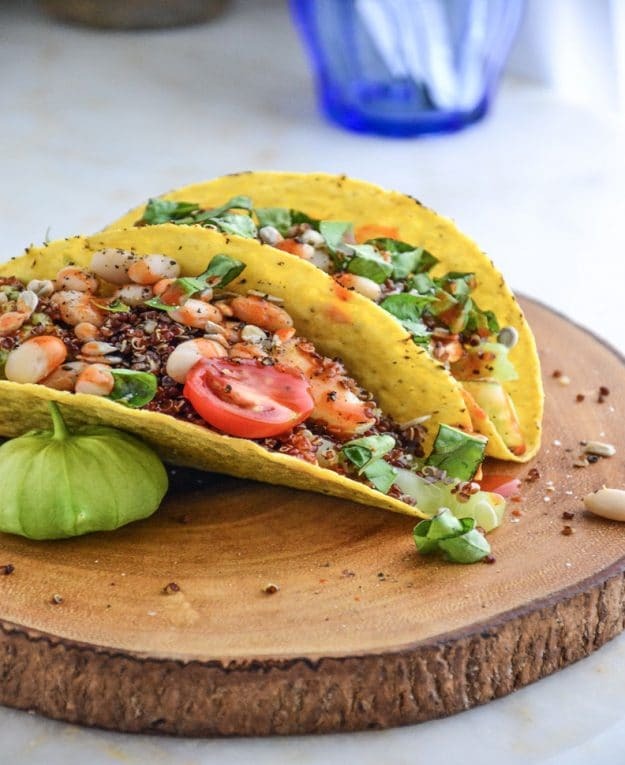 hope I can try these someday! Everyone deserves a good night’s rest. I wake up every morning with sinus congestion, so it’s about time I take the advice from this article and try out healthier sheets! I could definitely use a bedroom detox! Thanks for this post! These sheets and mattresses sound wonderful. I am all about total home and body wellness, so this is perfect for me. Thank you so much for spreading awareness about the toxicity that we would otherwise be oblivious to! Thank you for sharing your journey and helping others. I think of you in the moments I lose hope and remember that it can be better. I have gradually started detoxing my life and my house. You are right: is a long process. Thank you for all the information you are sharing with us. Thank you for putting yourself out for us. I appreciate you and your work so much. I am blessed to have come across you. Amie, thank you for all you bring to us–your story is inspiring & lets others know there is help out there, we who don’t feel up to par are not crazy we are sick, we need help & answers that make sense. I am currently working on detoxing my bedroom, I have been checking into mattresses & praying that I can afford one soon, along with the necessary bedding. This article is a great help to bring awareness to our incredible overload of toxins in our everyday life & our world, we need to really stand up & say enough is enough, especially when is so desperately affects children & the elderly who may not have a voice to speak up. Hi Mary Kay! You are the WINNER! Please email us at Hello@TheHealthyApple.com with your mailing address. Thank you! Thank you for this wonderful information! I would love to detox my son’s room. I commented, but my comment is not showing. Really could use these sheets! I knew about the personal care and hygiene items but never thought about the mattress, pillows, and sheets. Thanks for opening my eyes, I’ll definitely check them out! These sheets sound amazing! Thank you for the helpful info too! Ayyy where them free sheets at? I’m a day sleeper and a good rest is always helpful to motor through at work! Wow! This is mind blowing! I had no idea all of these chemicals are found in regular sheets. Thanks for the information. Thank you for sharing. I never thought to look into organic sheets. This is really eye opening. Certainly is amazing to read what they add to mattresses! I’d love to win these for my…and well, me too! Very interesting. I’ve had health issues last 13 years that I just can’t get over. Never thought my favorite place ( my bed) could be aggravating my issues. Would love to change up my bedding to start with and see if I notice any improvements. Thank you for this article. We are in the process of trying to find a new mattress. So I will be looking into this further. Thank you. This is extremely disturbing and eye opening!! I made sure our daughter’s mattress and sheets were non-toxic, but I have yet to make the changes needed for our bed too. Thanks so much for sharing and great giveaway! I’ve been making little adjustments here and there, and there are STILL issues with my sleep, my skin, and my red eyes every morning. I am so ready to make these additional changes with Naturpedic’s help. Thanks so much for the important timely information. Amie! Thanks for this valuable information, Amie! We’d love some new sheets!